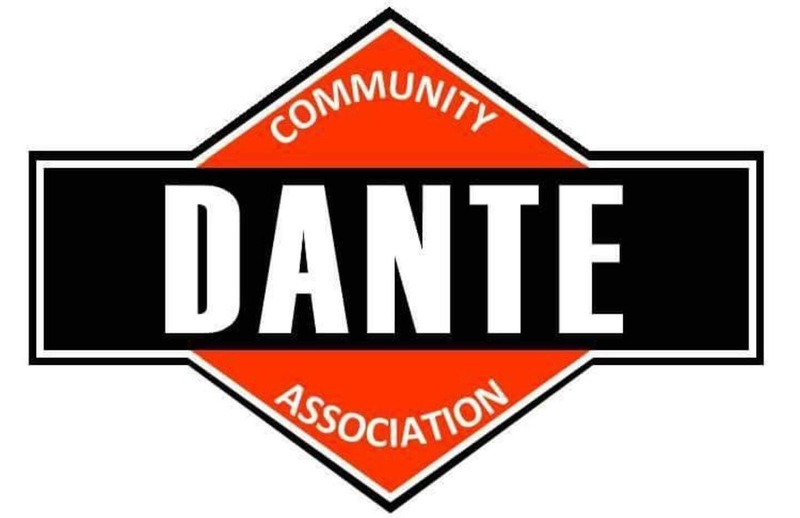 The Dante Community Association in partnership with the Russell County Board of Supervisors has been awarded a grant of $118,660.00 from the Virginia Department of Transportation. This will be used for the cleanup and revitalization of the Dante Depot located in the future downtown historic district. With this grant, a new roof will be placed on the structure and interior work will be completed for up to two retail spaces in our community. 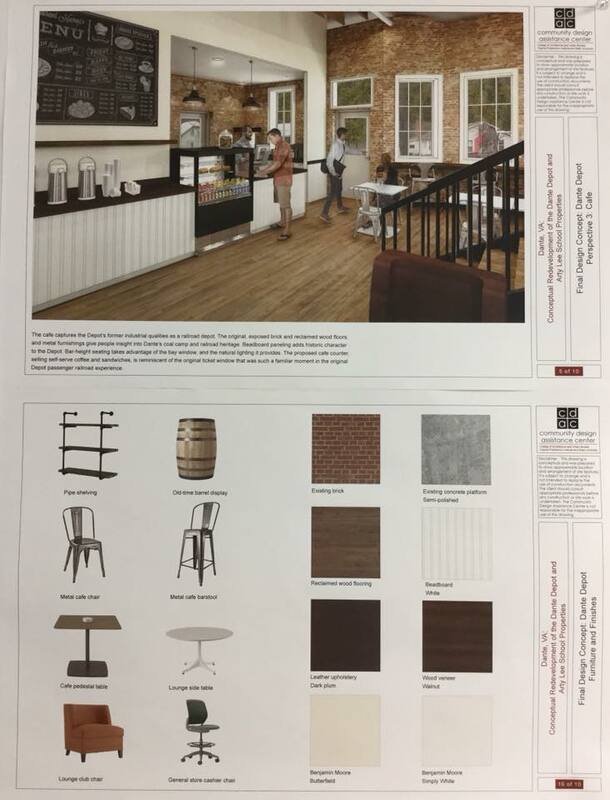 The DCA has been working with the Virginia Tech Community Design Assistance Center to help create a visual representation of what the Depot could become in the very near future. 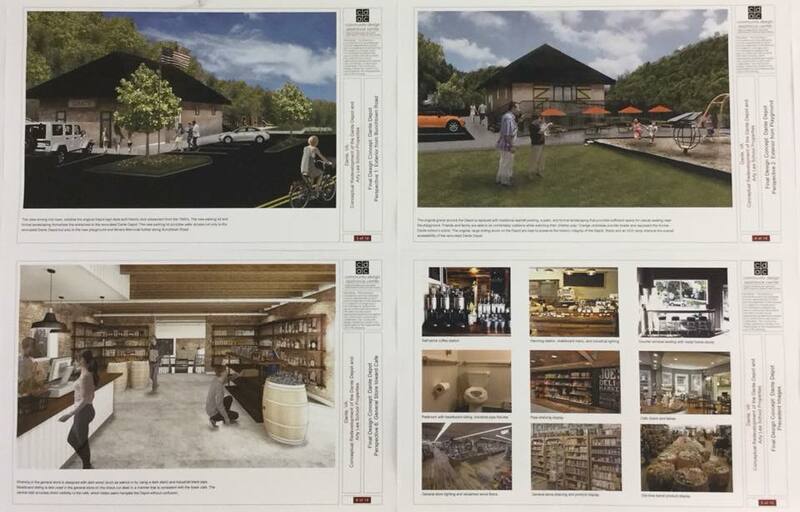 These graphics will be incorporated as possible into the final design plan for the finished structure. Russell County has already begun cleanup work at the site and the interior of the structure is now clear of debris. 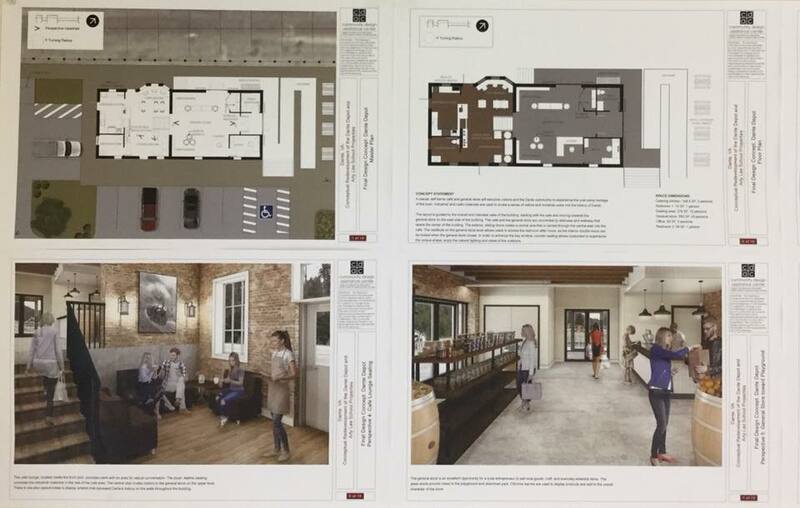 The renovation work will begin in early 2019. This is a big win for our community! 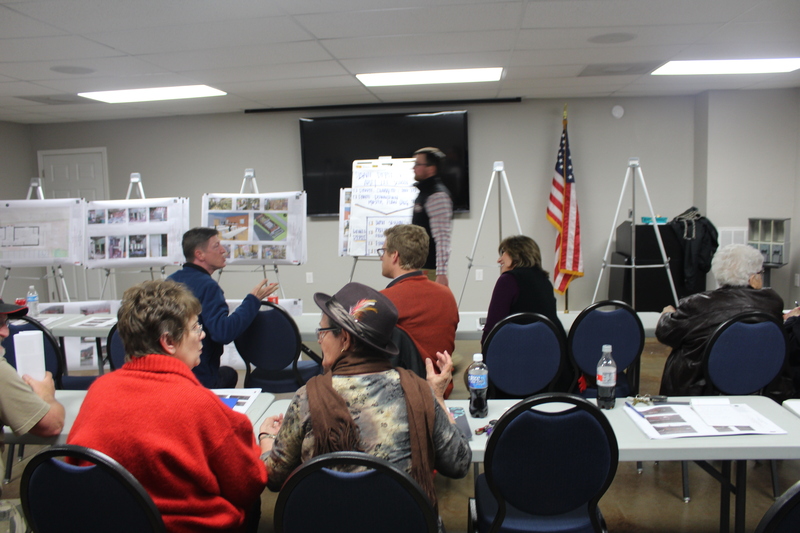 Since at least 2011 citizens have been pushing for the redevelopment of the Depot and we are proud to have been able to contribute to this project and see it to fruition.